Welcome to the hottest mental health topic over the past 24 months, and for the foreseeable future. 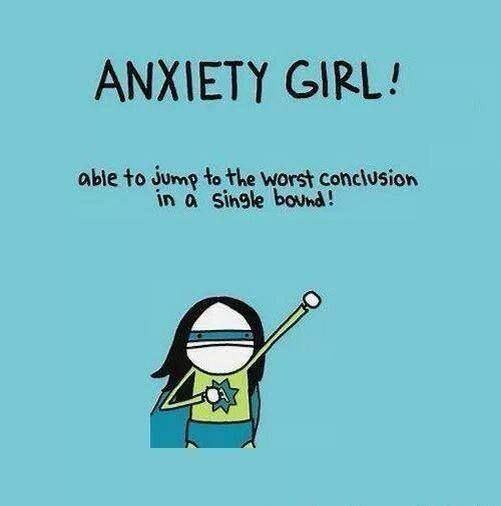 It really is no exaggeration to say that anxiety is an epidemic in today’s world. According to many anxiety groups throughout Canada, 1 in 4 people will suffer from the disorder in their lifetime. Most of these stats are from 3-5 years ago, so it’s completely plausible to think that the numbers are more like 1 in 3 now. So where do we start when we talk about decreasing these numbers? What do we do to tackle this crippling mental health issue? From my experience its best to start with the why. Why do people go to anxiety? I use those words because I truly believe that all of us go to emotions, not the other way around. We use emotions and actions to meet certain needs. If we can think a little differently and be open to the idea that anxiety isn’t something that you have, or something embedded deep into your personality, instead is an emotional state that you turn to to meet your needs, then that changes the entire way of thinking about this issue. Imagine believing with every ounce of your being that 99% of anxiety cases are treatable without drugs and that no one is a lost cause. They are people who turn to an anxious state as a way of meeting their top needs and coping with everyday life. If you believed that, then that creates so many more resources and treatment options for us. So with that belief in mind, we have to decide what anxiety is really doing for us. How is it meeting our need for certainty or variety or connection? And are there other empowering alternatives that will fulfill those needs in a much more positive and powerful way? An example I use frequently is that of depression. Like anxiety, it is affecting a huge portion of the population. And also like anxiety, it is an emotion that we go to, not something that comes out of nowhere and controls us (for most cases). Being someone who used depression for a large chunk of my life, I can tell you that it was a foolproof way of meeting my needs of connection, variety, significance and certainty. I was able to feel sad and connect with myself. It was a nice change (variety) to my mental state if things ever got too boring or constant. I was certain I could go to my depressed state whenever I wanted, almost like a safety net from life. And I felt significant in that no one could understand me or help me out of this funk/problem I had. Now those don’t sound like the most empowering and beneficial ways of meeting my needs, I agree, but they certainly did the trick. And i think the very important fact here is that, when you are in a depressed or anxious state, you can’t really see any other way of thinking. When you’re in those states it is very hard to see the bigger picture and to look outside of yourself. Using that example, if we find new emotions and actions that meet our needs at a much higher, more empowering level, then we are assured to associate with the new pattern and leave the old one in its wake. This is the key to overcoming the crippling pattern of anxiety. Think and decide what your anxious state is doing for your list of needs and how it’s meeting them, then introduce a new and empowering pattern that meets all those needs at an even higher level. Instead of meeting your need of variety by eating out of boredom, call an old friend and catch up. Instead of meeting your need of connection by gossiping, change the trajectory of the conversation and talk about travel aspirations. Be open to a different way of thinking, even if just for a few minutes. Try what it feels like to believe that anxiety is something that we go to, not something that comes to us.